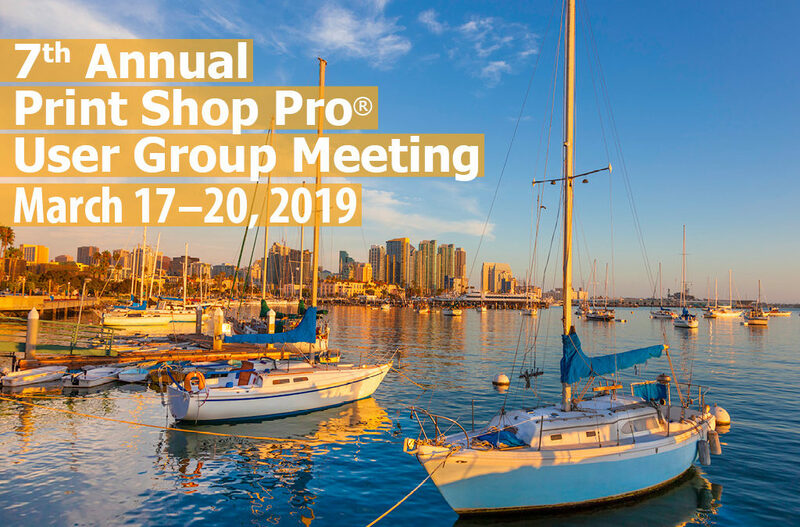 Our 7th Annual Print Shop Pro® User Group Meeting is only four months away! We are expecting more than 50 attendees to this year’s event. We will be returning to the beautiful Island Palms Hotel with their amazing views of the Marina and San Diego Bay. The sessions are sure to provide you with both techniques and inspiration to take your shop to the next level. The relationships you develop by networking with other Print Shop Pro® Users will be invaluable. This year’s event is designed to be Educational, Inspirational and Motivational. It will be beneficial for long term PSP Users and new PSP Users alike. 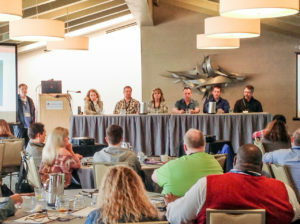 We have some impressive presenters lined up from in-plants around the county that will be sharing real world examples of how they use Print Shop Pro® to manage their operation. You’ll learn new techniques to increase productivity, streamline your workflow, reduce costs, and improve customer satisfaction. The cost is only $375.00 (with the early bird discount) for this 3 day event and includes the Sunday evening welcome reception, all sessions and meals. And, the room rate is only $139.00 per night. Register by February 8th and take advantage of our early bird discount. 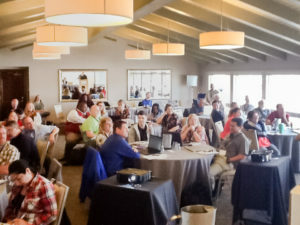 The User Group Steering Committee will be meeting in January to discuss the details of the topics and programs. If you have any suggestions for what you would like to learn about or hear about, let us know.